Taps made on brass, sandblasted, nickel plated and chrome plated. Generic and specific drain taps for male or ball valves with its accessories. Manometer holder, various taps and drain valve. Founded almost sixty years ago as a company specializing in contract manufacturing, Rubi Zeta has confirmed its evolution over time establishing itself in the field of heating and hydraulics, in particular in the production of boiler exhaust, valves, holders, pressure gauges and various fittings. We are very demanding to offer only high quality products, from the raw material to the finished product. All our products are always available in stock. Rubi Zeta is specialized in hot stamping of brass bar and various machines. 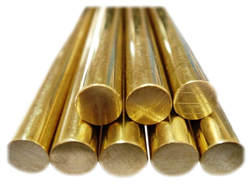 In order to get a good brass product, you need to cross several steps in the brass bar hot processing. The first step is making the cuts of the basic pieces for following molding. Thanks to the experience gained in more than 50 years of business, Rubi Zeta makes third-part productions with tailor-made solutions tailored to the specific needs of the customer, with rapid timing in design, production and shipping. We are very pleased with the quality of Rubi Zeta’s products, which fully satisfy our Requirements. I love to work with this company. Rubi Zeta company is my favorite when I make order for fittings and radiator valves from Italian market . Hristo Varbanov Delivery Department Manager RUVEX Corp.
We are satisfied about services of Rubi Zeta. Rubi Zeta are always ready to reply our inquiry and we did not have claim about your product quality. MME Ying QIAN DISTRILABO Purchase DEPT. Rubi Zeta have been our key supplier for many years. As such we have always found them to be co-operative, reliable and a pleasure to deal with. Also the quality of the product is first class. When we have needed new products or changes, they have always been able to do what we need. We hope to have many more years of dealing with these fine people. Rubi Zeta is a reliable supplier both in terms of punctual deliveries and quality of the same.We have had the opportunity to test the reaction capacity and the maintenance of the agreements made.The technical and commercial collaboration is of the first level, very careful to guarantee customer satisfaction. Della Schiava Walter Purchasing office Emmeti S.p.a.
We obtained the first certification in 2017 as a synonym for quality, precision and time frames. We buy raw materials from the best wire drawing machines, all our bars are certified.